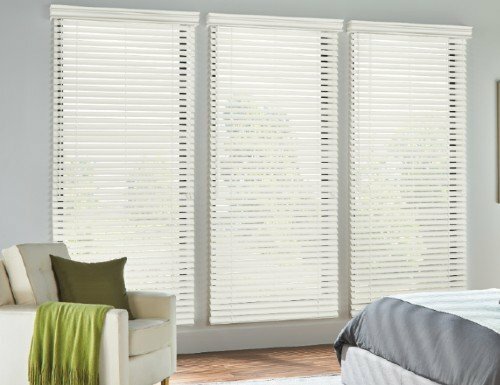 Multiple blinds or shades on 1 headrail is the perfect solution for customers with large windows. 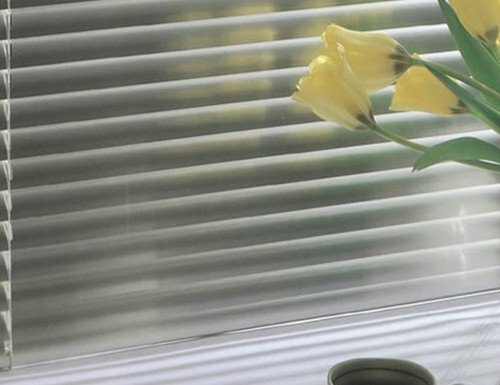 The 2 on 1 headrail option is two blinds or shades that can be operated independently but still share the same headrail and valance. 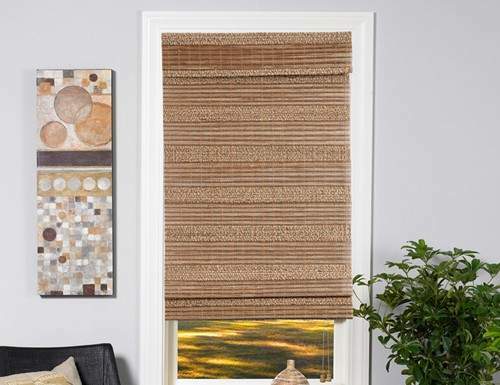 This is the simplest way to maintain controls over your blinds and still have a clean look. 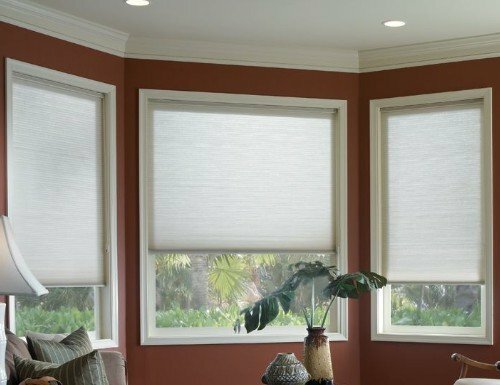 Large windows covered with a single blind can have a tendency to sag over time. 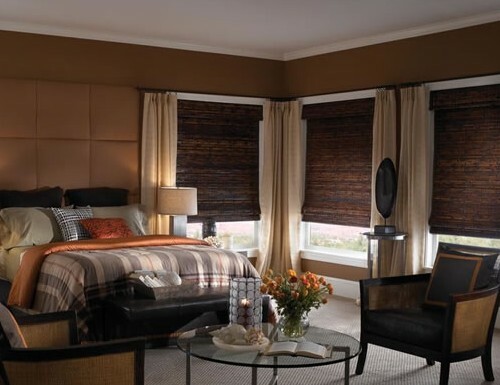 This will not occur with the multiple shades on one headrail. 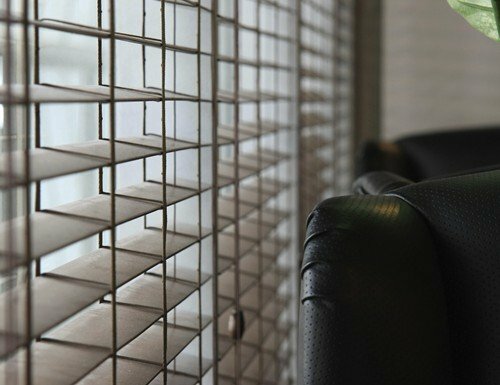 Controls for the feature are simple. 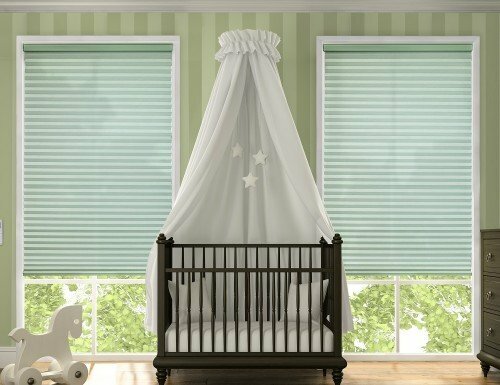 Each blind on the headrail has its own wand and cord control. 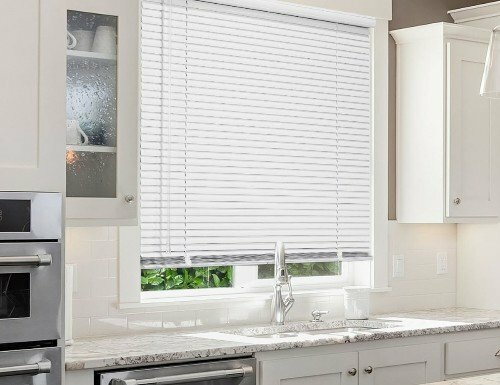 Customers love the ability to open one blind while leaving the other closed. 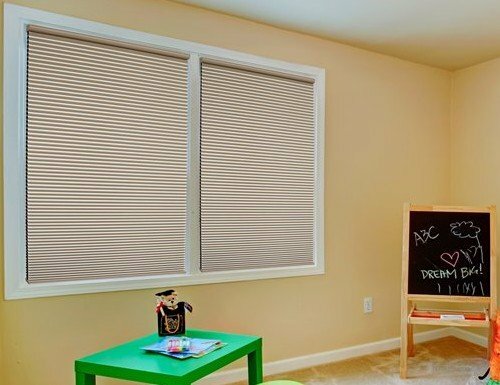 All of the products listed below feature a 2 on 1 or 3 on 1 headrail option. 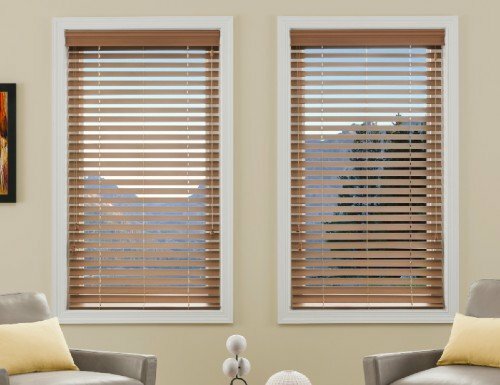 You can choose this option when you are building out your product. 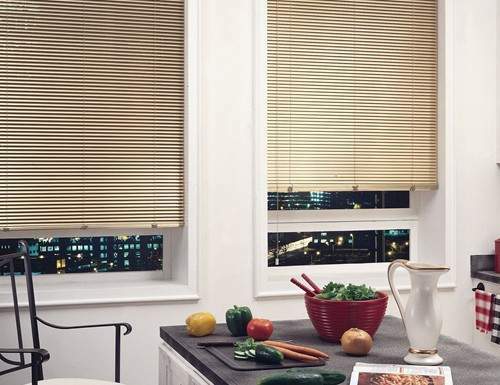 The exact size which multiple blinds is required varies by product as well as the overall size of the blinds. 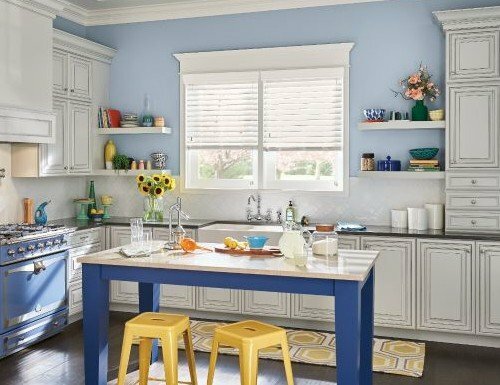 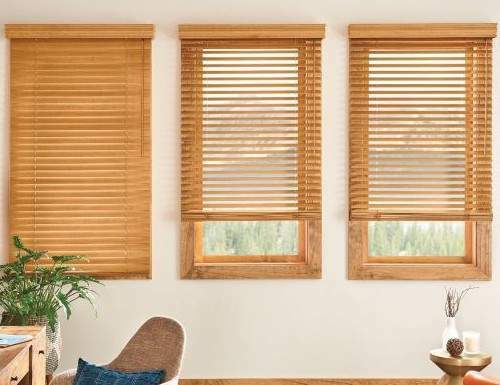 Faux wood blinds are heavier than real wood blinds and therefore cannot be as large. 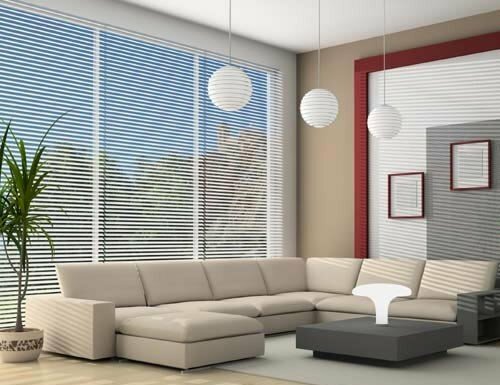 The size requirement for multiple blinds is based also on the width and height. 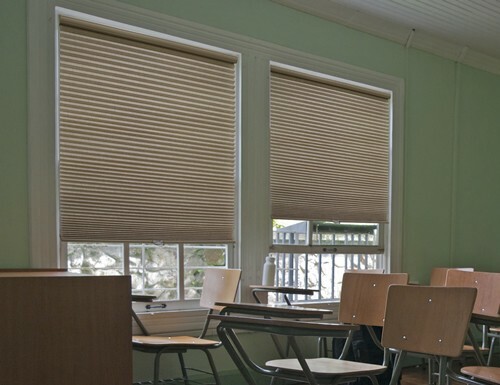 A very wide blind typically requires multiple blinds unless the blind is not very tall. 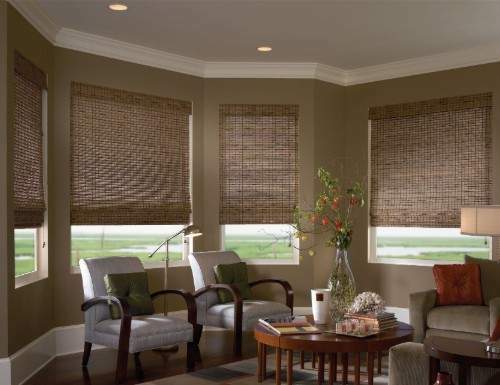 Typically faux wood blinds over 72 inches and wood blinds over 78 inches. 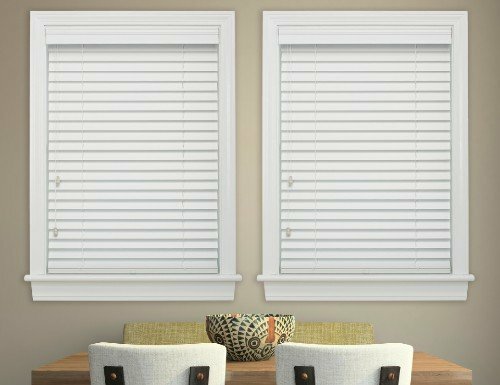 The size will vary by product. 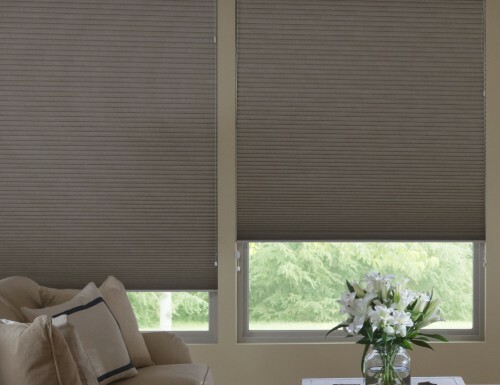 Our website will notify you when your blind requires 2 in 1 blinds. 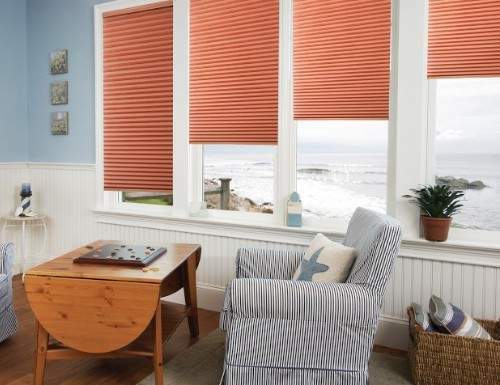 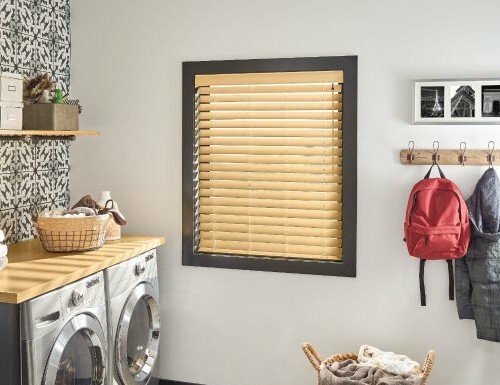 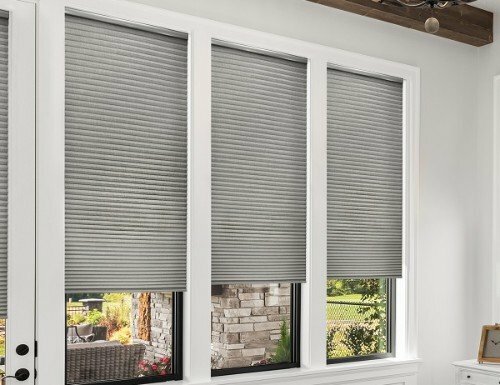 The 2 on 1 headrail option is available for faux wood blinds, wood blinds, aluminum mini blinds, bamboo woven wood shades and honeycomb cellular shades. 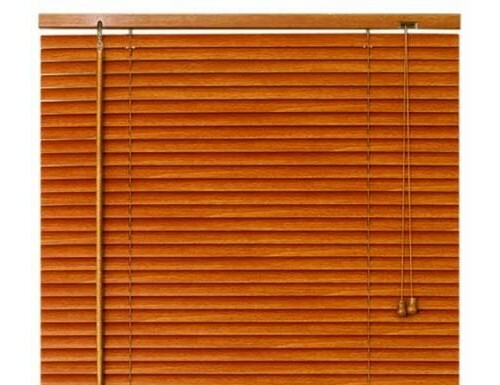 Some blinds below will also have a 3 on 1 option. 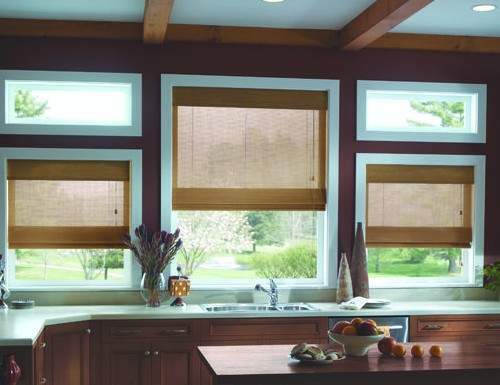 3 on 1 is three blinds that can be operated independently on one headrail. 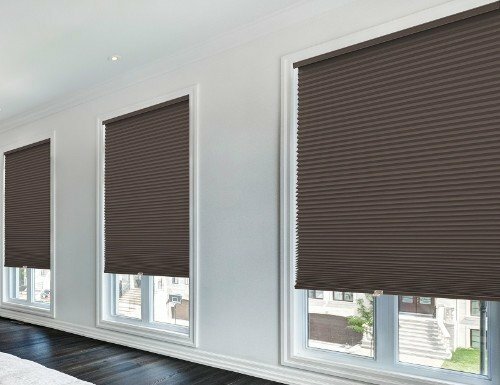 A unique aspect of 3 on 1 over 2 on 1 is the ability to control the size of the two outside blinds and the middle blind. 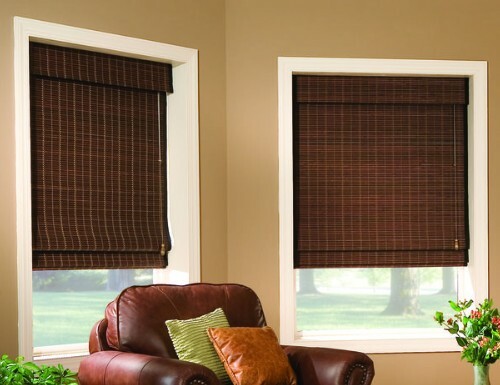 For example, a customer could have the side blinds the same size and the center blind another. 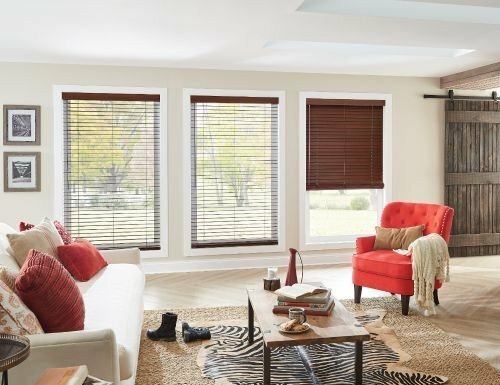 If you have any further questions about this feature, please don’t hesitate to reach out to our customer service team.